As the 115th Congress enters its 18th month, we're excited to share this month's congressional activity report, comparing the legislative activity of the 115th Congress to the past ten congresses. To date, 70 percent of the bills signed into law in this Congress carry at least one Democrat and one Republican cosponsor—the highest of the past 20 years. Check out the full report below and, ICYMI, catch up on our Q1 2018 report with data from Quorum Federal. 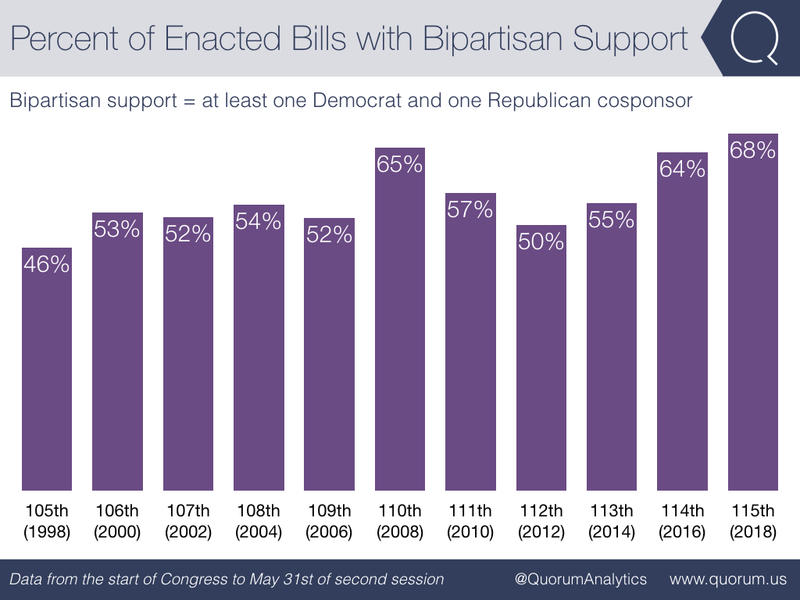 Nearly 70 percent of the bills signed into law this Congress carry at least one Democrat and one Republican cosponsor—the highest of the past 20 years. 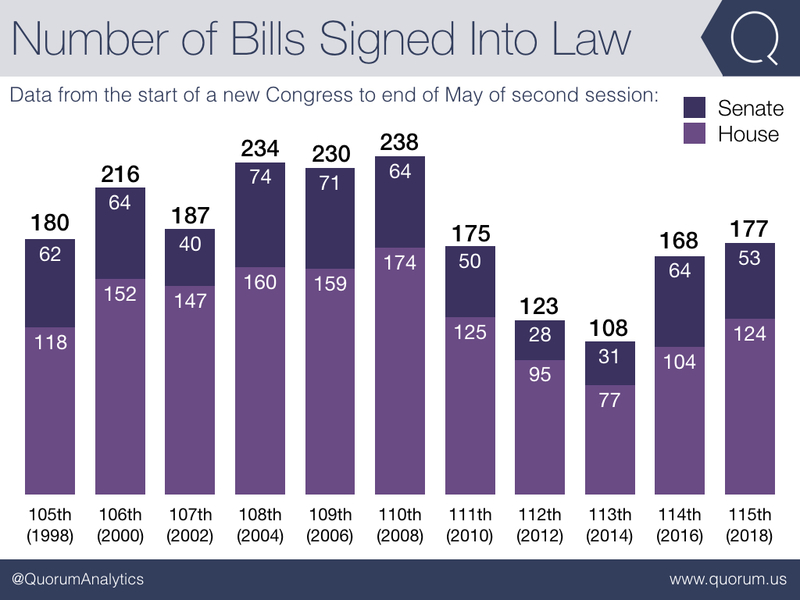 177 bills have been signed into law—the most at this point in Congress since 2008. 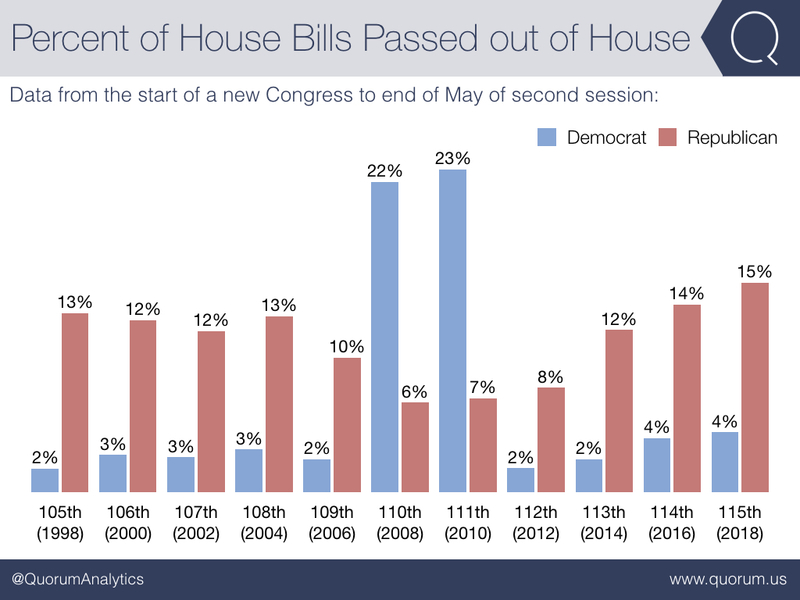 At this point in 2008 and 2010, House Democrats were passing over 20% of their bills out of the chamber. 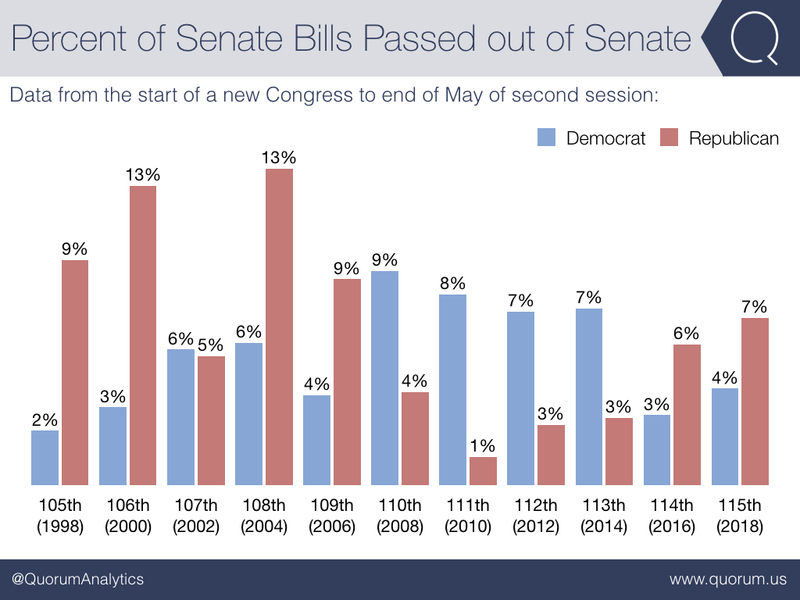 At this point in 2000 and 2004, Senate Republicans were passing double the amount of bills out of the chamber compared to now.